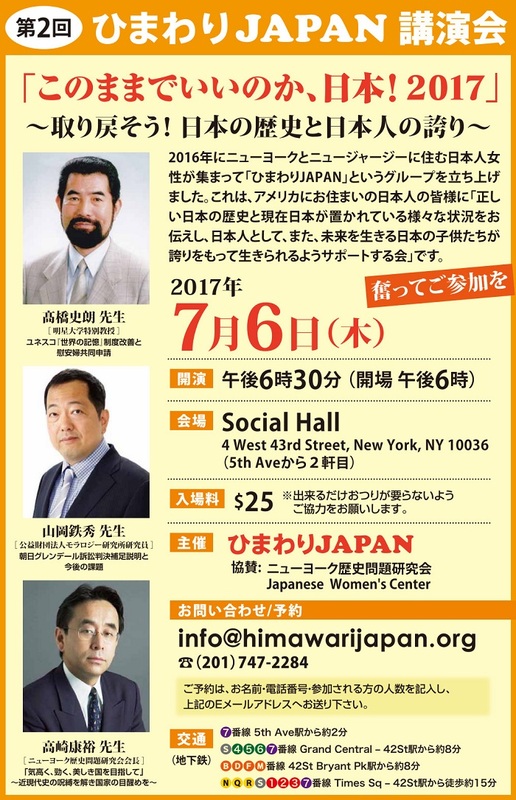 Himawari Japan (ひまわりJapan) is a comfort women denier group made up of Japanese women living in New York/New Jersey area, many of whom are followers of Happy Science. It was founded by Yoko Nagato in June 2016 and held a first lecture event featuring Mio Sugita, Shiro Takahashi, Yasuhiro Takasaki, and Shinichi Tokunaga. 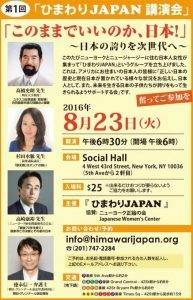 In 2018, Himawari Japan was awarded a contract by the Japanese Consulate General in New York to set up a “help line” for Japanese residents in the area whose children are “bullied” due to “historical issues.” In addition, Himawari Japan solicits information about any use of “anti-Japanese” materials at schools including the film Unbroken or any events in the community related to the “comfort women” issue and any other topic connected to Japan’s history. The contract, which runs from May 2018 to March 2019 at $1,000 per month, is widely criticized because of the group’s political slant and lack of expertise on addressing bullying. 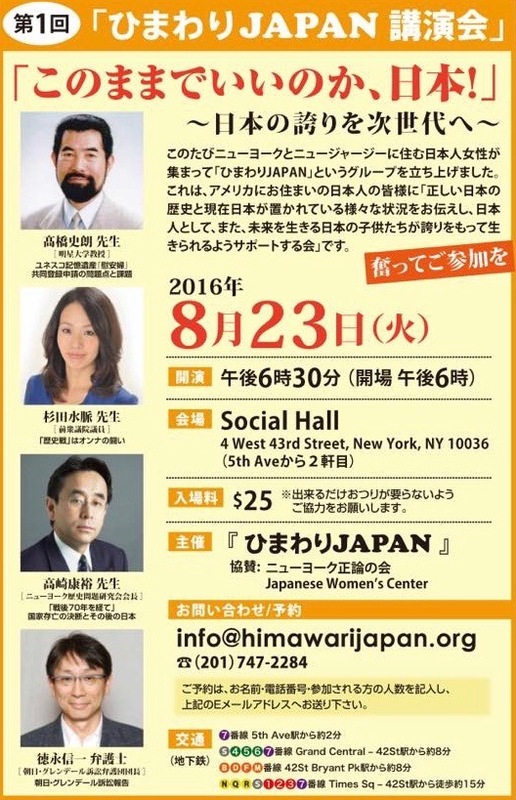 Himawari Japan, a group of nationalist Japanese women in New York/New Jersey area led by Yoko Nagato, held its first-ever public event on August 23, 2016. The event was held in Japanese. 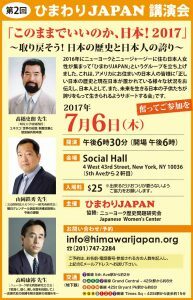 Himawari Japan, a group of nationalist Japanese women in New York/New Jersey area led by Yoko Nagato, is holding its second public event on July 6, 2017. The event is to be held in Japanese.